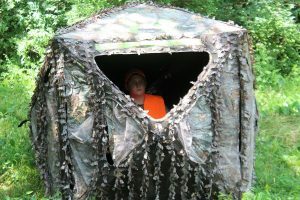 While treestands for deer or slipping quietly through the woods for turkey might be more traditional hunting methods, hunting from manufactured, pop-up style blinds is rapidly gaining in popularity. Just flip through any modern hunting catalog and you’ll find ground blinds in dozens of shapes, sizes, styles and camo patterns, a strong indicator of this hunting aid’s popularity. Hunting from a ground blind has a lot going for it. You can position them just about anywhere, eliminating the need to find a suitable tree for stand placement. Their varied camo patterns blend into any terrain, including standing corn, deep woods or brushy fields, and they are portable, making it much easier to pick up and relocate if your initial choice of hunting spot turns out to be a bust. Finally, ground blinds protect the hunter from the elements, making it easier to stay afield during inclement weather—and if just being out of the wind and keeping dry isn’t enough, you can easily warm them with a small propane heater, even on the coldest of days. All these pluses makes a ground blind especially perfect for young hunters. Add a couple of comfortable seats, something to keep them occupied during slow times, a few snacks and something to drink, and what would normally be a quick trip back to the house when the weather turns bad or they get bored and cranky can easily become an all-day hunt. Even when the blind’s occupants are wearing a hunter orange hat and vest, the safety color is hidden from hunters on the outside. As useful as they are, ground blind hunting does have a few drawbacks. Chief among them is the fact that you are hidden from other hunters. This can be particularly troublesome on crowded public hunting areas, where hunters may be unaware of who else is in the area. Too, even if the occupants of a blind are fully decked out in bright hunter orange, closed windows and camo screens can prevent other hunters from seeing them. Couple that with the blind’s ability to blend in with its surroundings, and another hunter can shoot your way without knowing you are around. The easiest way to remedy this situation is to place hunter orange on the outside of the blind. This works especially well when deer hunting, since it has been scientifically proven that deer don’t see bright hunter orange the same way humans do. Some blinds come with foldable patches of orange material built into their exteriors. Simply unzip or open the pocket holding the orange material and let it drape down onto the camo exterior of the blind. If your blind doesn’t have this built-in orange flap, most blind manufacturers offer orange drapes to snap over the roof of the blind. In a pinch, even a few extra hunter orange safety vests can be utilized by draping them over the exterior of the blind and tucking or tying the corners to the blinds frame or exterior straps. If your blind doesn’t come with blaze orange panels, something as simple as hanging hunter-orange vests from each corner will alert other hunters in the area to your location. For maximum visibility, place orange on all sides of the blind, so that no matter what direction another hunter may be, he or she will be able to pinpoint your location from a distance. Many public land areas, and a few states, require a certain number of square inches of orange material on the exterior of the blind for ground blinds to be legal. While orange material on the exterior of the blind may not spook deer, it can be a factor when turkey hunting. Ask any hunter who has ever been picked out by a sharp-eyed old hen or gobbler, and they will tell you that turkeys see orange from an incredible distance. If you are turkey hunting on public land and want to alert other hunters to your location without spooking turkeys, try tying a hunter orange vest to a piece of string and tossing it over a high limb above your blind. Pull the vest as high into the tree above your blind as possible, hopefully raising it above a turkey’s common line of sight. Another alternative is to keep a hunter orange vest or piece of material inside the blind with you. When you see or hear another hunter close by, stick the orange out the window and wave it back and forth to alert them. Keep a whistle handy inside the blind to alert nearby hunters if you see them before they see you. Avoid using gobbler decoys near your blind or imitating gobbles with your calls on crowded public land. 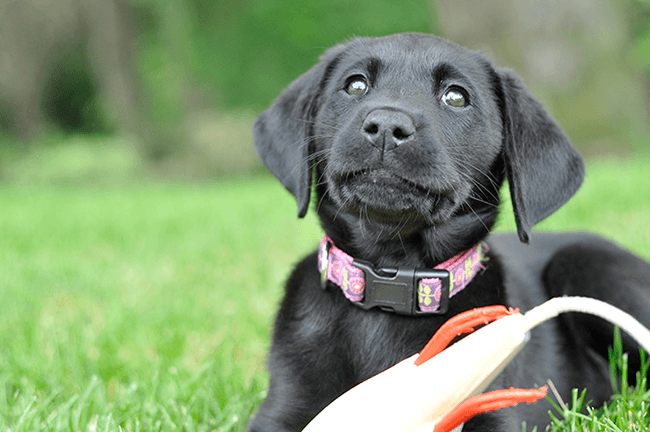 Either can cause a careless hunter to fire in your direction, so stick to hen calls. While propane heaters can keep a blind toasty warm, or at least tolerable, when the weather is cold and nasty, it’s important to keep a few windows open for cross ventilation. Carbon monoxide from propane heaters can build up in a closed blind, causing a dangerous situation for those inside. Venting windows for fresh air flow will prevent problems. Propane heaters and stoves can keep a blind warm and heat up a midday meal, but they can also emit carbon monoxide, creating a potentially hazardous situation. When using heaters or stoves inside the blind, always leave windows cracked open for fresh air flow. Following these tips will help you have a fun and productive hunt from your ground blind. Who knows, it might just turn into your favorite way to hunt.